Creating your own garden can be both functional and aesthetically pleasing. Well-maintained plants, shrubs, flowers, and trees can add that little extra something to your home's curb appeal. If your green thumb leans more toward the productive side, there are a myriad of vegetable plants that can keep your crisper drawer stocked full of healthy edibles throughout the season. Some benefits of gardening are relaxation and stress reduction. There's nothing better than escaping to a bright and beautiful garden to help forget the troubles of the day. The only downfall to this beneficial and rewarding hobby is the potentially high cost associated with nearly every aspect of it. In some situations, you may have to terrace or build garden boxes in order to fit everything. Other cases may require the use of a water pump to get water to where you need it. 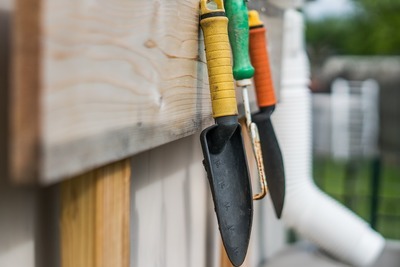 From the costs of plants, bulbs, and seeds, to the often exorbitant price of containers, mulch, and various tools and materials, gardening can empty your wallet before you're even aware. Fortunately, there are some suggestions from The Irrigation Shop to show some tips to create beautiful backyard on a budget. The most important step to take when practicing frugal gardening is to plan out what you want to achieve. Are you going to grow mostly vegetables? Or maybe flowers and pretty things are more up your alley. Of course, you could always plant a little bit of everything. Regardless of the type of greenery you desire, you should diagram the garden areas; create a wish list containing all the plants that you would like to have; and take stock of any material such as soil, containers, water pump and other tools that you may need in the future. After you have created these lists, sketched a picture of the garden, and determined what type of miscellaneous material you may need, take a good look around your house and try to locate anything that could be useful. It may not be much, but every little bit helps. Before you begin splurging on the little green occupants of your garden, it's a thrifty idea to search for deals and discounts. Craigslist has a garden and farm section where you can find anything from seeds and plants to pots and mulch. Also, brick and mortar stores like Lowes or Home Depot usually have an area full of discounted plants and gardening supplies. You may have to nurture a dying plant back to life, but you can save a lot of money and feel rewarded by rescuing a growing thing from oblivion. There are almost always seed exchange club meetings all over the country. Check facebook pages about gardening in your community or start one yourself. The Internet also has a large assortment of websites that are dedicated to seed and plant trading. You can easily swap your bulk seeds for new varieties of flowers and plants. Another great way to acquire new greenery is to take clippings or ask for seeds from your family and friends. Watering by hand can be a hassle when you are super busy. 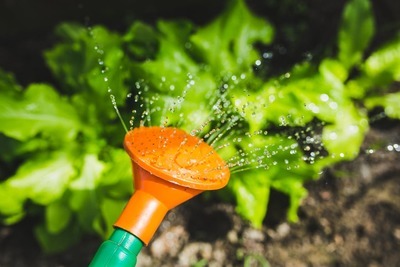 To save time and money, you can build self-watering irrigation systems in the garden by yourself. There are many cheap and easy ways you can try. If the cost of purchasing sprinklers, sprays or drippers is within your budget. That is definitely the most convenient way. If not, you can try install a DIY drip irrigation system by using the right hoses and faucet hose fittings. 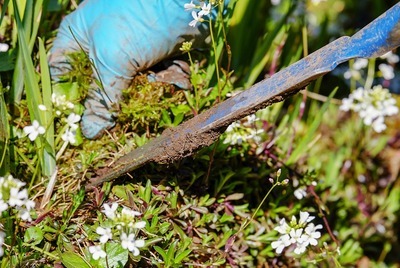 Gardening on a budget may seem tough, but it is actually pretty easy as long as you have patience and search in every nook and cranny for deals, discounts, and freebies. If you take the time to really look around for thrifty opportunities, you'll be pleasantly surprised at just how many you'll discover.